What happens if the copier needs servicing? What happens when it is time to get a new machine like the HP PageWide XL? You can store them in a storage house or can sell it to someone else, but for how long? There will always be new competitors in the market with new copiers which you will love to have (you can’t deny something with the exact features you have been long for). If everyone did this, sooner or later the state will be full of old and used copiers. What about removal? Waste management companies that charge by weight may quote you $1/lbs and charge up to $1,000 on the a wide format copier. Some wide format copiers can weigh as much as 1,000+ lbs. Shipping fees and pickup fees alone would be pricey too because of its large size. Most companies in the US sell to a middle man who will buy the copier and eventually sell to a copier exporter like Kingnote. Our team also makes selling a copier or printer easy and guide you through the whole process. We will provide you will a fast and free quote when you contact us with our copier model number and any details. We take these machines that would otherwise be considered junk in the US and export intentionally to places like China, India, South America, and the Middle East. By working with you, you can ensure that your copier will be delivered to some place where they can be really useful; even if there are missing parts or broken pieces, technicians will refurbish these printers to working condition and the lifespan of the machine will be extended. Kingnote is having a very useful solution for the both of the parties. We purchase used photocopiers, wide format machines and production copiers, make some space in the state for the entry of new machines, and export the used ones to the countries who are really willing to purchase refurbished or used machines. This benefits copier brands and the copier industry by getting rid of old and used copiers. Not only this, the removal makes place for brands to come out with new models as they race to compete to produce better equipment. 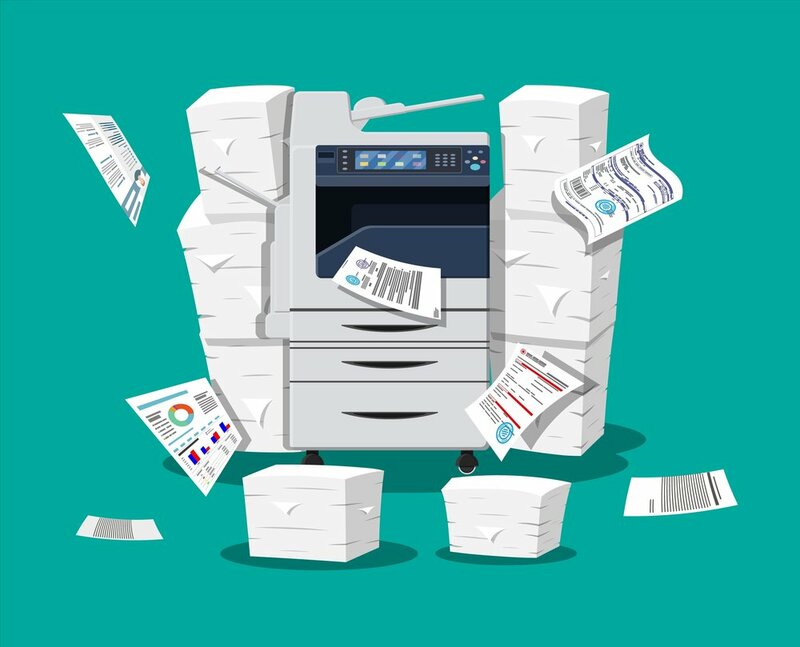 Currently, brands like Xerox, Canon, Ricoh, Konica, Kyocera, KIP, Sharp, and HP Wide Format Copiers and Teriostar are the top rated manufacturers of office copiers, production copiers and wide format machines. And they are able to manufacture and sell their products domestically in US due to more export of used copiers across the globe. Kingnote strategy is very simple. We work on the 3 basic key features of the company: Buy, Export, Dedicate. Kingnote purchases old and used copiers from the end user and ensure if any of the machines needs refurbishing or repairing. These machines are purchased from our headquarters via established channels. Once purchased and taken care of, we contact export to Asia, South America and the Middle East. This export is done with the help of our loading team that builds our container. We make sure the machines are kept in safe packaging so that no damage is done to any of our products. We are concerned about our exported items reaching safe and sound and ensure all safety measures. It is important for Kingnote to establish a healthy relationship with our end users, vendors and wholesalers. All the business transactions are done as soon as the purchase invoice is finalized. Sell your used copier with a negotiable price and earn a better amount of money which no one can offer you! You can sell any of your photo copiers which are not being purchased by anyone else! Make some space to have new and advanced equipment in your office and increase productivity! Get ensured that your product will leave the US market. Get exclusively free freight services throughout the process! Kingnote has been reducing the number of used machines domestically by exporting machines abroad. This increases the value to the brands we buy (Of the wide format: HP, KIP, Oce, Ricoh, Teriostar, Xerox, Canon, Epson). Countries such as China and India need these copiers and wide format machines for production and are willing to use older models. Meanwhile, new models are able to come into the US market. Kingnote reduces the number of used production copiers.